The Education rooms at the two locations of the Boys & Girls Club of Greater Green Bay received new flooring in November, courtesy of H.J. Martin and Son. 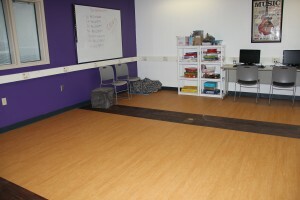 Replacing the original flooring which was 15 years old, the new flooring was the centerpiece of a renovation of the two learning areas, which included new color schemes and paint. 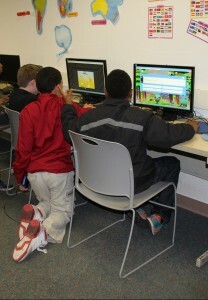 The Education rooms have a multi-purpose function in serving elementary school-aged children in the Green Bay area. Much of the activity is centered around homework, reading and computers. Hands-on science projects also are undertaken within the space, which necessitated a flooring product that could withstand messiness on occasion. Broadloom carpet and Luxury Vinyl Plank (LVP) flooring were chosen for their durability and ease of care. Interface Caribbean Classic carpet was installed at both locations. At the Bruce W. Nagel Clubhouse on the west side of Green Bay, Centiva LVP in two colors and with an accent, was utilized. At the Thomas H. Lutsey Clubhouse on the city’s east side, Mannington Nature’s Paths was the choice. 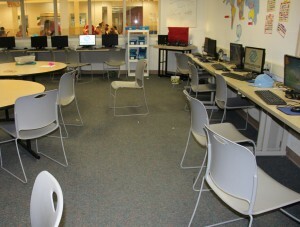 In all, 750 square feet of LVP and 215 square yards of carpet were installed between the two locations. Two H.J. Martin installers completed the project over a two-day period in early November. 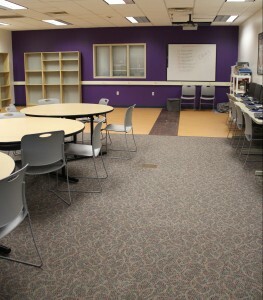 The Boys & Girls Club of Greater Green Bay serves approximately 400 children per day, five days a week, in the Education rooms of its two locations.